The M300 tree seat is not a tree stand. It’s a comfortMAX seat (with back) that weighs just 4 pounds. It can be folded flat and carried with its strap and set up at sitting height on any tree in seconds. 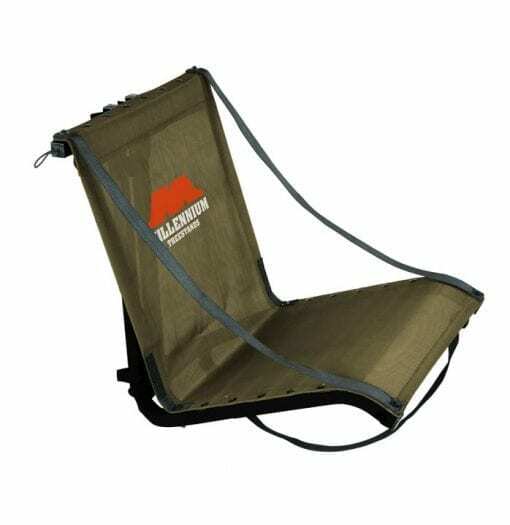 That makes it a great option for turkey, squirrel, deer or duck hunters on the go. 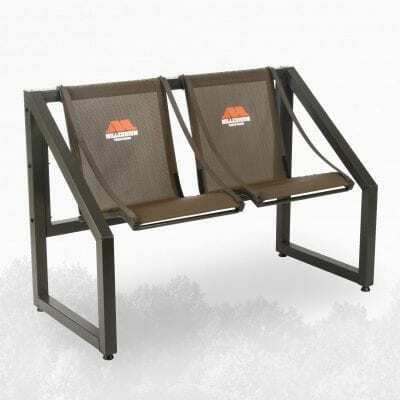 It’s more comfortable and less noisy than on-the-ground cushion-style seats. 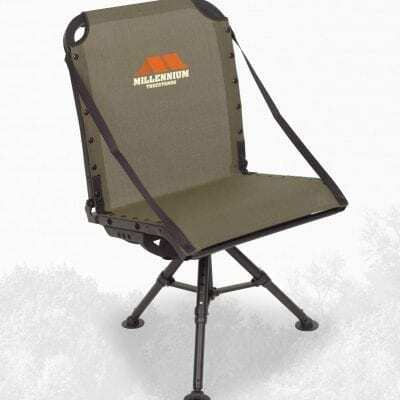 Duck hunters and some deer hunters who hunt flooded swamps will find this fast set-up handier than any other product on the market — it gives you a comfortable seat off the ground and out of shallow standing water. When long hauls and fast set ups are critical, this is the seat that works.